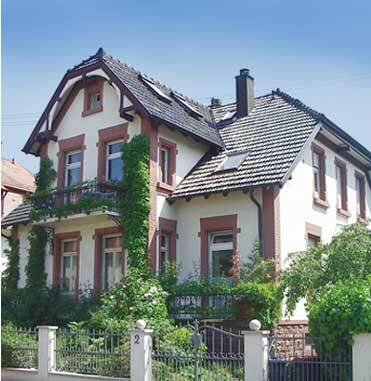 In just a few minutes' distance from the city of Karlsruhe there is our friendly house in the art nouveau style, a place where hospitality is more than just a word. No matter whether you want to attend one of the Karlsruhe Fairs looking for a reasonably prized accomodation for just one night, or whether you intend even to spend a holiday in our magnificient Ländle (Little county), we shall strife to make every guest's stay as pleasant as ever possible. Apart from our friendly rooms, recently redecorated with loving care, our spacious garden offers plenty of room for your wellbeing. Welcome, and feel at home! PS: Read feedback from our guests on yelp.